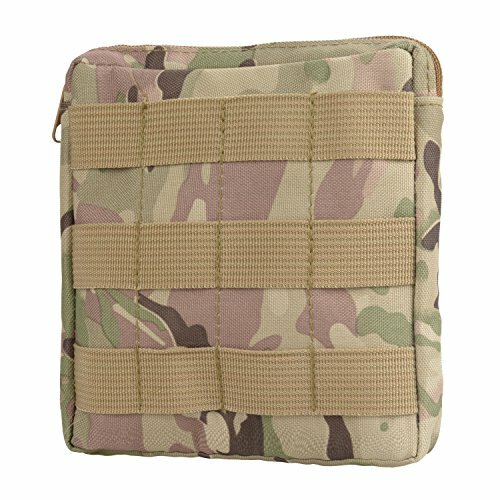 This Iniftyle high quality 600D Nylon, Wear-resisting, lightweight, Compact EDC tacitical Pouch is ideal for a small Every Day Carry kit, and it is ideally offers up a big time storage option for all your extras. Pistol mag’s, ammo, binoculars, cameras, EDC or survival gear; this is their home. Attach this to any of your MOLLE compatible tactical gear for additional storage and customization. About color difference, For technology, display, light, environmental reasons may be a slight deviation phenomenon, please in kind prevail.